This set of Clip It! 3" Designer Cut-Outs features 3 iconic school supplies with a modern design twist! 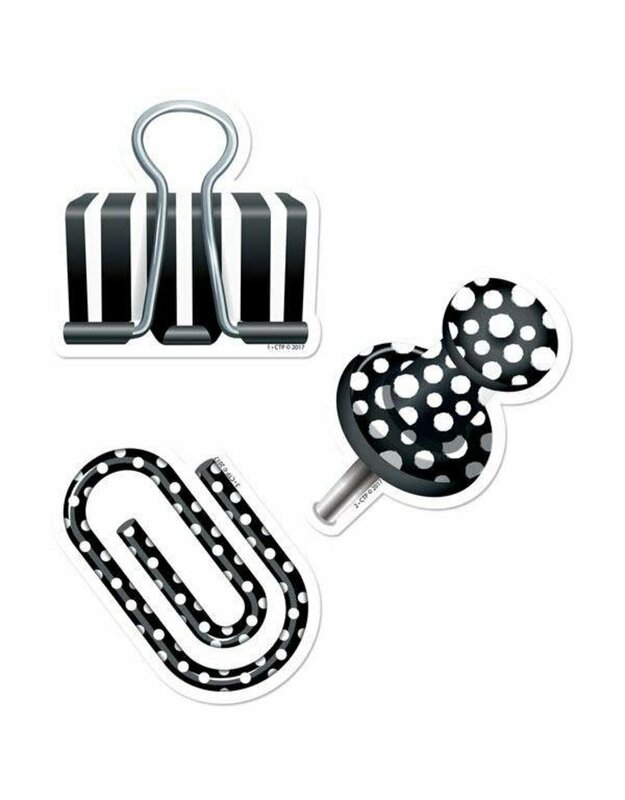 Bold black and white colors are accented with stylish stripes and polka dots on these giant binder clips, push pins, and paper clips cut-outs. These modern school/office supplies cut-outs will make a cute addition to any bulletin board or display at school, the office, college dorm, church, or daycare center. 36 per package Approximately 3"